Why bother at MacDonald’s when you can devour a juicy and greasy burger made with more natural ingredients just for a couple of dollars more? 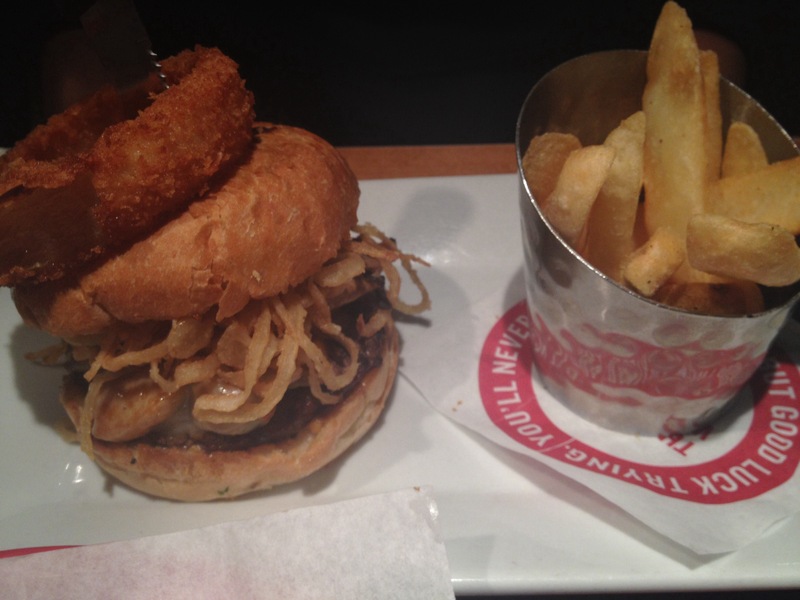 With a killer view of Robson Street, Red Robin serves gourmet burgers stacked high and loaded with goodness. In addition to the view, Red Robin’s offers a leisure and family friendly vibe for everyone. Jacky and I decided to celebrate the end of exams with some monstrous burgers and here’s what we got. Starting off with Red’s Popcorn Shrimp and Chips (CAD11) with crispy fried battered shrimp bites on a bed of bottomless soft steak fries. 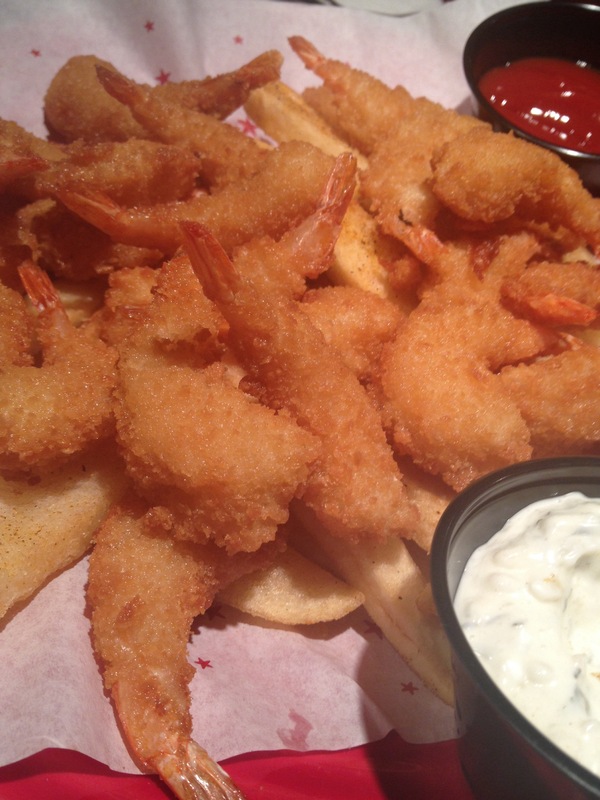 Dip these babies into the tartar sauce and you’ve got a bite size finger licking seafood fare. 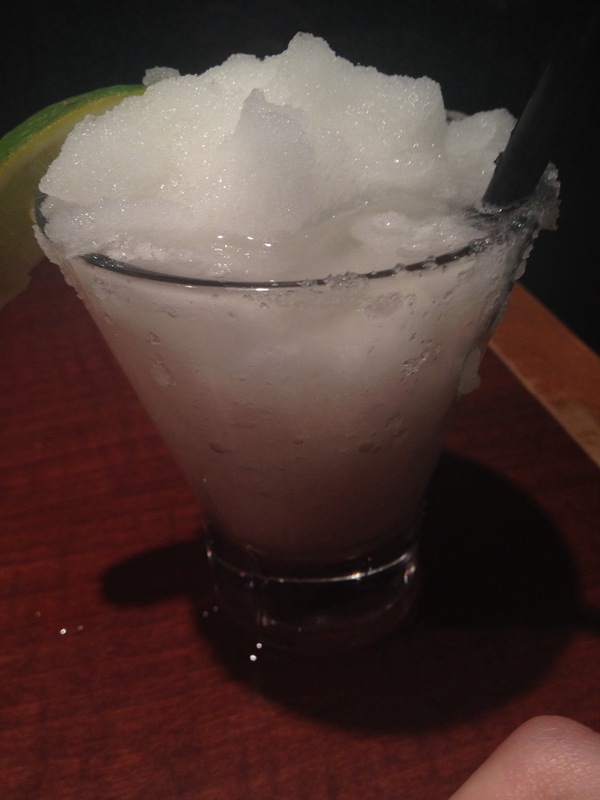 It’s Margarita Tuesday at Red Robin for CAD4. I decided to go with the lime margarita and this was by far the worst margarita I have ever tasted. The drink was a terrible blend of basically salt and alcohol with not a slight hint of lime dash in it. Neither of us could take more than two sips before putting it away. 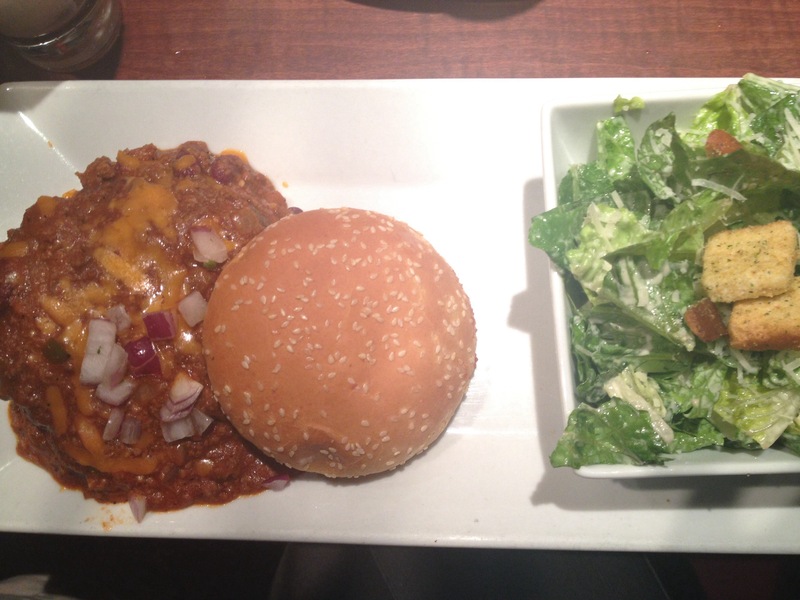 I ordered the Chili Chili Cheese Burger (CAD10) with a crispy Romaine lettuce Caesar salad. 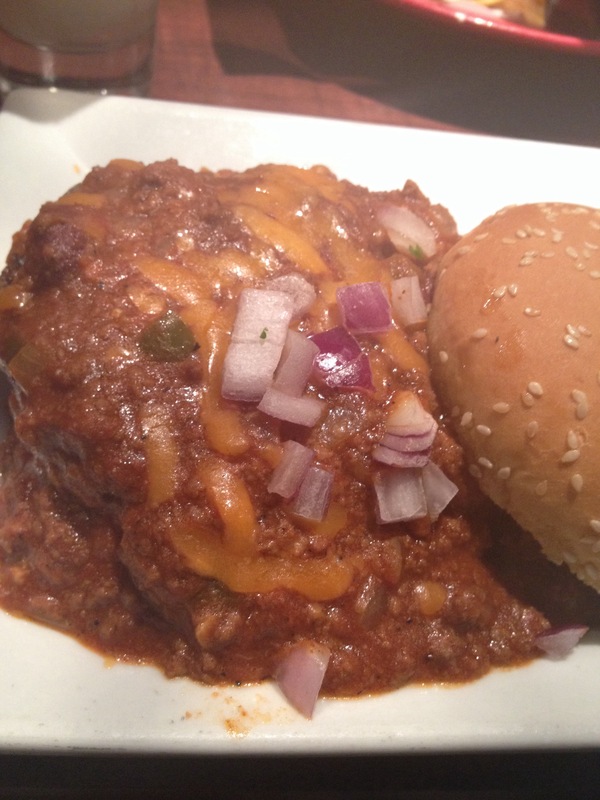 The spice exploding chili was oozing out of burger with the patty and bun underneath. 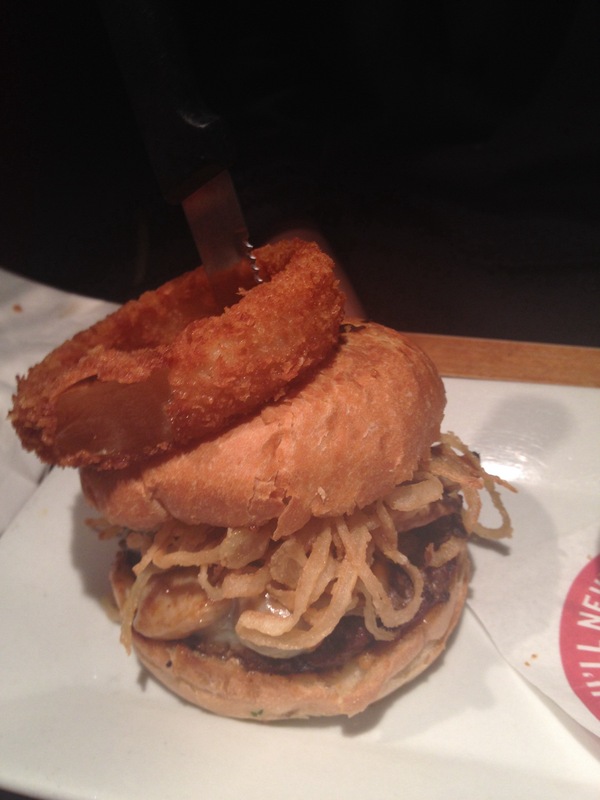 There is no way that this could be eaten with my hands so I resolved to eating my burger with a fork and knife. How poise. Feeling for a heavy and stuffed burger? The next bad boy we got was the Prime Chophouse Burger with a succulent beef patty, sautéed mushrooms, gourmet steak sauce, melted Provolone cheese and stacked high with crispy onion straws served on an onion bun with creamy Country Dijon sauce. Good luck scoffing this down without everything falling off the other end! This is a delicious and messy burger for the hungry customers. I love Red Robins! The Sautéed Shroom burger is my favourite burger!